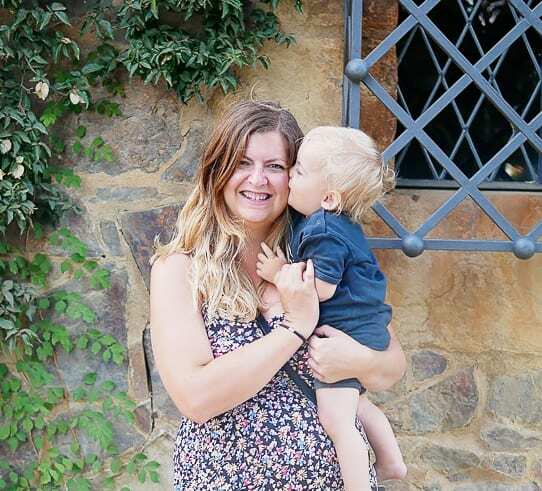 Family travel is one of my favourite things to write about on this blog, and I adore making our family travel vlogs over on my youtube channel. Another thing I love to do is browse Instagram for family travel inspiration and advice. Instagram is such a great resource for family travel, with so many family travel accounts at your fingertips to give you a realistic window into travelling as a family in a specific destination. What’s Sri Lanka like for families? Instagram is the best way to find out. Is it do-able to take young children to New York? Watching a family travel instagrammers Stories in real time will give you the most realistic answer. Nell has an eye for the scenic and beautiful. She prefers landscapes to family snaps, but you might just catch the occasional picture of her eight- and six-year old sneaking into her feed. Claire fills her grid with moments captured during her travels and family adventures in the UK and Europe. There’s also a good helping of fun at home in goregous Devon in the South West of England. The cheeky smiles of her two daughters, aged five and three feature a lot, but Claire is also partial to an epic view. Jenny loves to show her followers the best of Scotland with her two home educated, curly haired, 7 and 5 year olds. Aside from Scotland they spend time every year choosing several different countries to visit around the world. Who are your top family travel bloggers to follow on Instagram? danstheword is my favourite. Especially at the moment with his travelling adventure with his family. Great list! I think I follow everyone you mentioned already. I love Instagram for travel inspiration and insider knowledge of a destination – it’s my go-to place for initial research for sure.